Two of my favorite things, and now even better together! 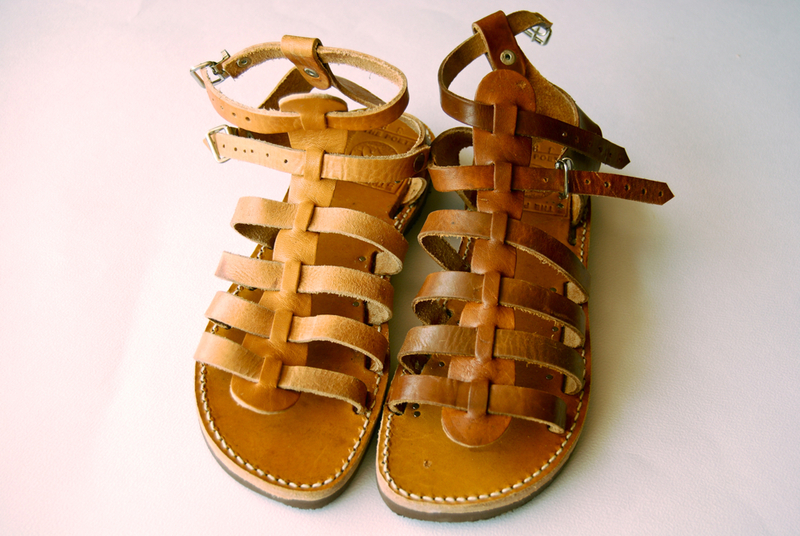 I recently bought a pair of custom made sandals from this cool local shop where a guy fits your foot to a sole and then literally builds the sandal of your choice around your foot. He made each strap fit perfectly around my foot, and then made a hole exactly where I need it for the ankle straps and trimmed off the excess. Wish I could do that for all my sandals. 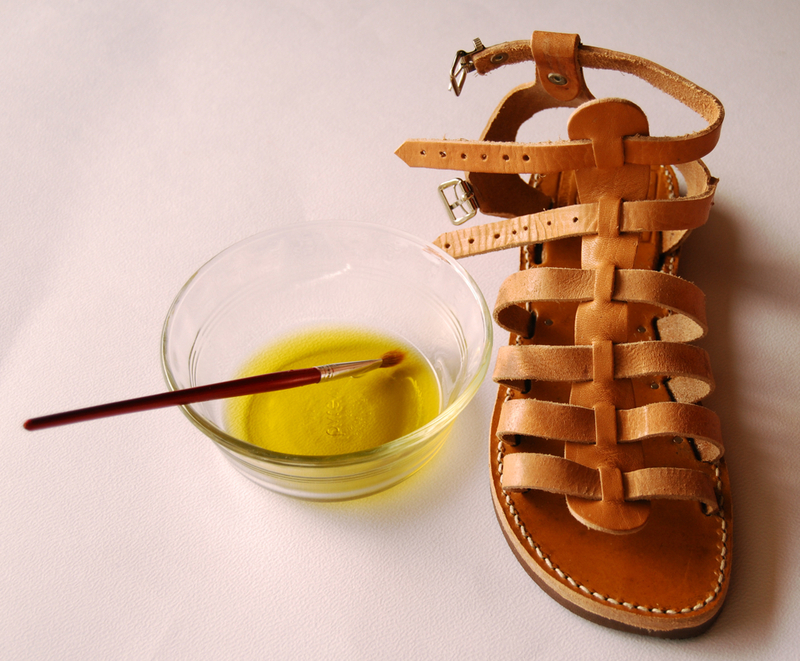 The sandals all come in raw leather, but he told me that if I wanted them to be darker, I could simply paint them with olive oil. Did you guys know about that? I thought it was a pretty cool trick. You can use this little trick on any raw leather if you want to deepen the color a bit. It might not work as well on leather that has been treated with paint or a sealant, but you could always try and let me know! Im wearing shoes just like that today! that’s too funny. I love the idea- so creative. Im having a giveaway on my blog for a cute french damask monogram necklace! Nice! Why didn’t I know about that place when I was there?!? Next time.